- How does 3 months FREE membership sound? 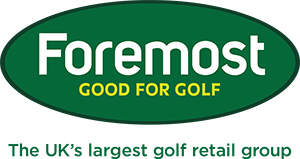 - Could you be one our 2016 golf club testers? We were quite lucky to play the latest round of our Winter League on Sunday after more heavy rain over the weekend, the pair of Chris Whalley and Bob Bowen were certainly happy that the course was open as they blitzed around with a 24 point winning total. The pair had birdies on holes four and eight - it's a shame that Chris and Bob haven't both been able to play a few more of the Winter League rounds together as judging by this form they're obviously a pair to be reckoned with when they both do make it! In second place was the pair of Antony Green and form man Dave Johnson moved further into contention with 22 points - Dave is a bit like his football team Manchester City in that he can show the odd glimpses of absolute brilliance and when he's on form everyone else is playing for second place! Steve Nicholson and Paddy Scanlan make an interesting pairing but it seems to work as they came third again on Sunday also on 22 points. This Saturday sees us play our January Stableford with a 10.28am starting time. Fancy three months free membership? I know that many of you will want to play more golf this year so we make no apologies for reminding you about our great membership offer - it was good to see a couple of new members join last week and take advantage of our fabulous deal in which you get 15 months membership for the price of 12 so you are getting an extra 3 months included for FREE! The deal is very simple - join now as a full 5 or 7 day member and pay upfront and your membership will then run all the way through until 31st March 2017 - you can play as much golf as you like with nothing more to pay. We also have a dual membership deal with our sister club Pryors Hayes which means that you can play golf at both venues. - Junior DUAL membership (aged under 18) just £120 only £2 per week! - Intermediate DUAL membership (aged 18-25) just £420 only £7 per week! - Adult 5 day membership £460 only £8 per week! - Adult 7 day membership £650 only £11 per week! - Adult DUAL 5 day membership £600 only £13 per week! - Adult DUAL 7 day membership £775 only £10 per week! Remember that Dual membership also includes golf at Pryors Hayes, which is also an excellent venue and is an 18 hole course. What better way to start your new year than becoming a club member and really getting into your golf? Contact me here to register your interest in membership. Many golfers are still surprised when they lose distance on their shots in the winter, I believe that the golf course plays roughly about 10 yards longer in the winter because the temperature is colder so golf balls fly through the air with less speed, we usually have more layers on and don't always have the freedom to make a full swing and again because we're colder our swings slow down but also a major factor is that after all this rain there isn't much if any run on the ball. So those are the reasons why we lose distance, what can we do about minimising this loss? 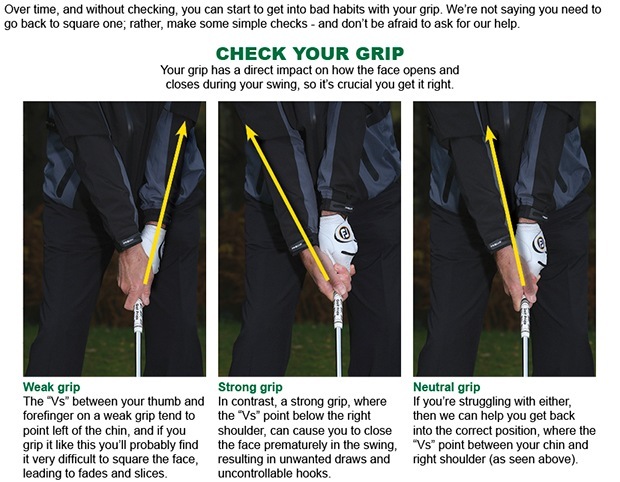 First of all check that the golf ball you play with is a lower compression - this type of ball comes off the clubface a quicker with slower swing speeds, harder compression balls are higher density so they will feel heavier and therefore not travel so well through the air. Lower compression balls also tend to spin a bit less so that could take a bit of the 'slice' off your shots and at this time of year with soft greens who really needs more spin?! So look at balls such as the Callaway SuperSoft, Titleist DT Solo and the Srixon Soft Feel, they also tend to be good value compared to a ball like the Pro V1. It might sound silly but also make sure your golf balls are warm - keep them in your bag wrapped in a towel as cold temperature is a real distance killer! In order to maximise distance also keep yourself warm, having a hot flask with you containing soup or tea or coffee in is a good idea and also the handwarners that we sell in the shop are invaluable at just £1.50 per packet, I would always keep my hands warm with these inside a pair of mittens or winter gloves. To stay warm also wear lots of thin layers including a compression base layer such as an Under Armour or Nike one - this will allow you the freedom to still make a full swing. 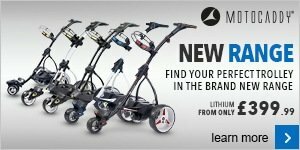 For those of you with adjustable drivers this time of year could be a good time to increase the loft as you won't get much run on the ball so you should try to maximise carry distance, you might even want to experiment by using a three or five wood off the tee, the extra loft will again give you more carry and it could go just as far and straighter than you're driver! If you put some of these tips into action hopefully you won't see that distance drop off too much and you can still score well over the next few months, let me know how you get on! There were two 22 year old winners this weekend on the PGA and the European golf tours, the South Africa Open was won by tour rookie Brandon Stone playing in his first tour event whilst a much more well-known name in Jordan Spieth won the Tournament of Champions played in Hawaii on the US Tour. World number one Spieth had a remarkable 2015 and it looks like he also means business this year as he recorded a fantastic 30 under par winning total including an amazing 28 birdies and 2 eagles to win by eight shots over a very strong field! You may have seen that PING have got a major new equipment launch next month, the award winning and ridiculously good G30 range of woods and irons which have been out for the last 18 months is being replaced by a new range simply known as the G range. For PING to replace the G30 clubs they must have something extremely good in the pipeline and having seen and tried the new clubs already I can tell you that PING have hit gold again and these clubs are going to be a real game changer! If you try the new PING G range and you are not impressed I will be seriously surprised, so how do you try the new clubs? Well it just so happens that we will be one of the first venues in the country to have a fitting day with the full range of the new 2016 PING products. So our PING fitting day is coming up on Tuesday 16th February from 2-6pm, on this day you can book a slot for a FREE full custom fitting session with John Bragger, a qualified PING fitting technician. These days are always popular and we only have eight slots available so you had better book quickly! Contact me here to book your fitting now. Remember that we will also have a full PING fitting cart in our room so you can try the clubs at any point so if you can't make the fitting day don't worry! 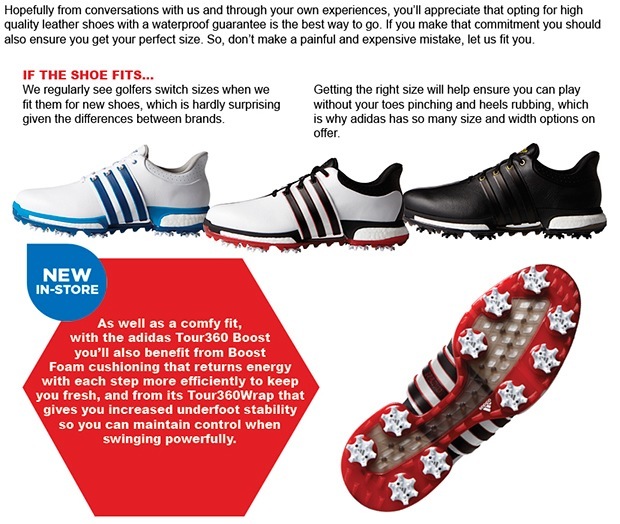 This year we will be unashamedly extolling the benefits of golf club custom fitting more than ever, it's our view that EVERY person reading this newsletter can and will benefit from custom fitting. I read a statistic the other day that 40% of golfers have taken part in a custom fitting session within the last two years, this still leaves a massive 60% of you that are missing out big time! Whilst we might not be able to turn you into Jordan Spieth overnight what we can do is help to maximise YOUR game to its full potential. To show you the benefits of custom fitting we're looking for male and female volunteers of all abilities to trial some of the new 2016 clubs as they arrive in our fitting studio. As well as getting to try some fantastic new clubs we will give you a full complimentary custom fitting session and all that we ask is you provide an honest review about what you think about the new equipment and the benefits of custom fitting. We're confident your honest reviews will be good as we know that the new clubs we will be receiving from the top brands in golf and our excellent custom fitting service works! If this is something that appeals to you then please contact me here to register your interest. As usual it would take too long to list all of our sale items so please call in and have a look around, you never know what bargains you may find! Hopefully we'll have some better weather next Tuesday morning! Did you get those winter mittens you wanted for Christmas? No? Fear not, pop by the shop and treat yourself to a New Year's gift. 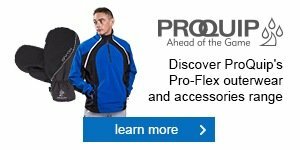 ProQuip's new Pro-Flex range includes the superb flagship waterproof suit, as well as some fantastic accessories, too.